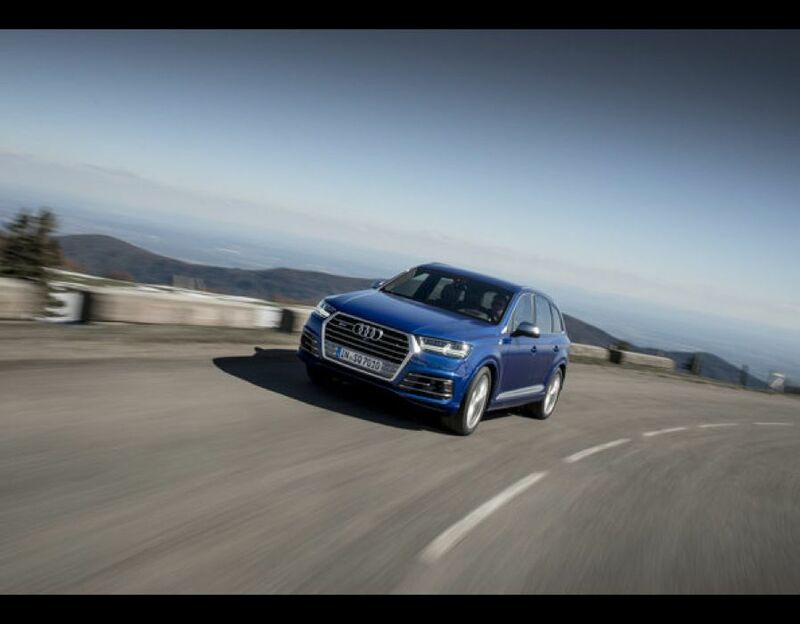 Does the world really need a car like the Audi SQ7? The honest answer is, of course, no. 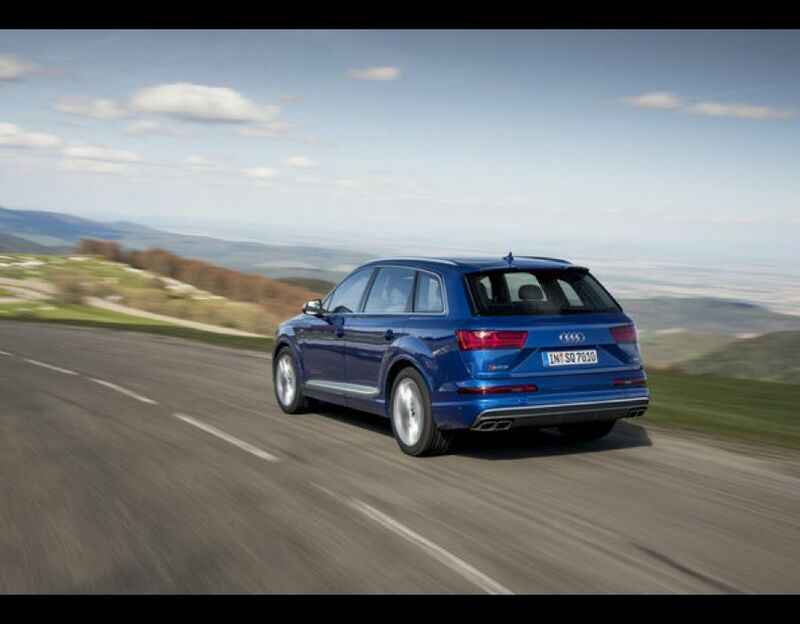 But does the world want a car like the Audi SQ7? Well that's a different matter altogether. Unfortunately, no matter what you might feel about large 4x4s, especially performance-focused ones like this, the fact is that people want them worldwide. They may not buy them in huge numbers but there's still enough customers globally to make them worthwhile. It's not by mistake that the likes of Bentley, with its Bentayga, and Maserati, with the Levante, have followed Porsche and Land Rover in producing a high-end 4x4. Lamborghini and Rolls-Royce are due to follow suit too. By comparison with some of those this SQ7 looks like a relative bargain, even at a hefty ?70,970, though it didn't stop our test car from being loaded with enough options to take it the wrong side of ?95,000. 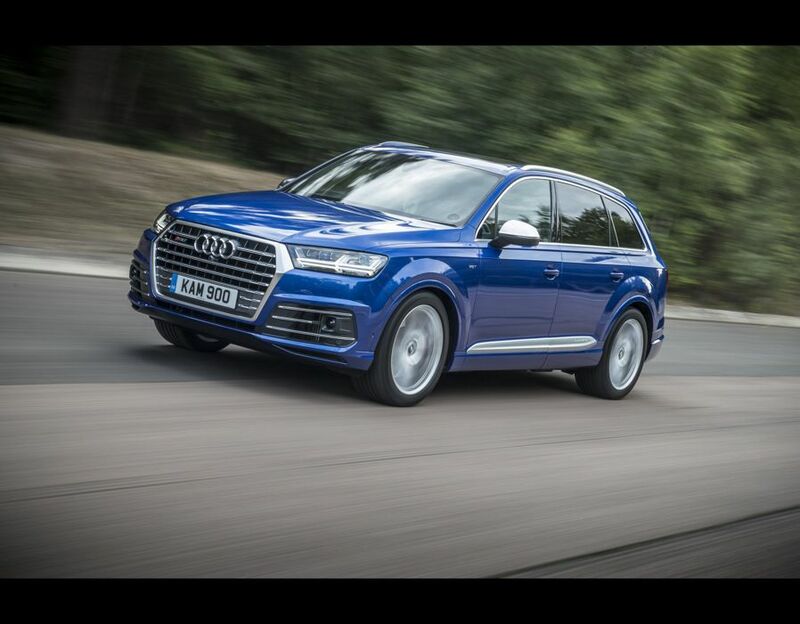 As headturning and desirable as this flagship Audi Q7 might be, that is a lot of money. 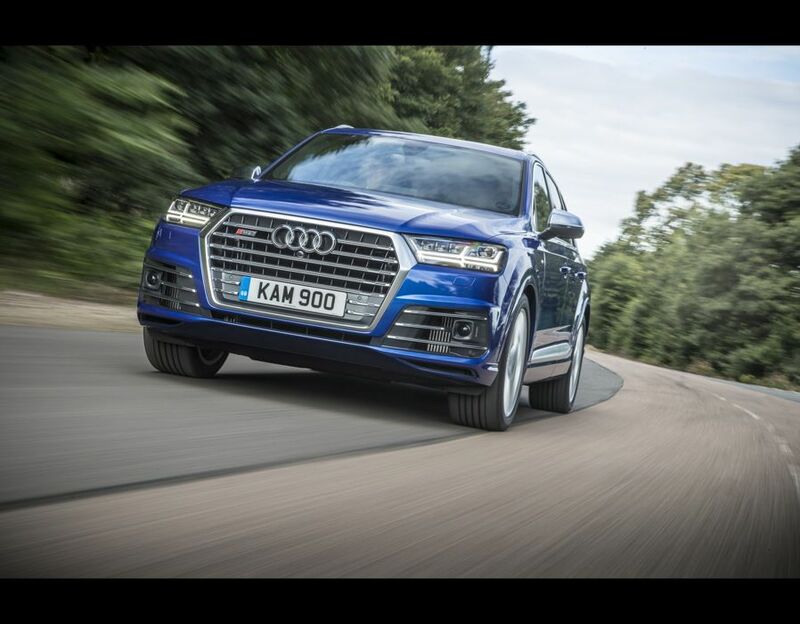 At least it looks the part, though, with sporty lines and huge 21ins alloy wheels making it a surprising headturner despite the Q7's familiarity on our roads. It also has the under-bonnet statistics to back up those looks. 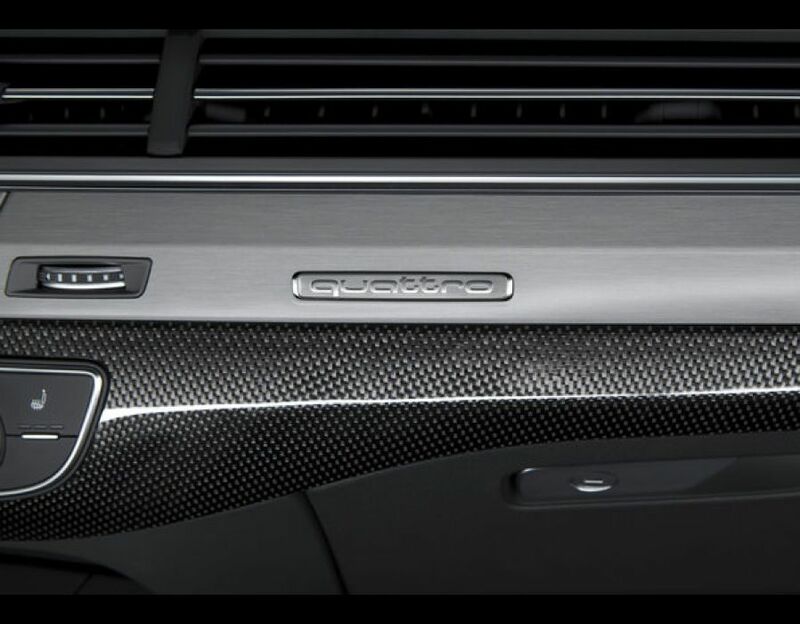 A huge 4.0-litre, V8 turbo-diesel engine with 435bhp is enough to power the SQ7 from 0 to 60mph in just 4.9 seconds and on to a 155mph top speed. Consider that that's enough to embarrass most sports cars; and then consider that this is a 2.4-tonne 4x4 and it's hard not to silently nod in a good degree of appreciation. Then again with official emissions of 199g/km and an average fuel economy of 37.1mpg you'll be lucky to see anything close to the latter if you use any of the SQ7's prodigious performance. That's a large part of the problem, because flexing your right foot hard and frequently is far too tempting. With good reason too. Like many other performance 4x4s, this is one of those cars that defies your brain's in-built logic for large cars being slow and unwieldy. In fact, as those figures suggest, the SQ7 is anything but, to such an extent that it initially almost takes you aback. 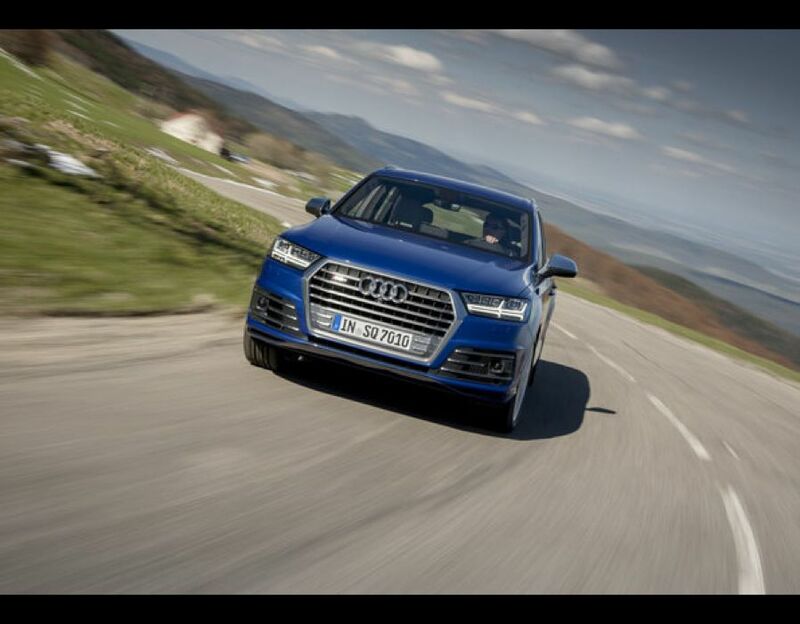 Yes, it can be driven with a degree of circumspection but the deep rumble of the exhaust hints at what's on offer and even the slightest flick on the throttle pedal has the big Audi leaping forward. As fast as it can accelerate though, it's actually the mid-range performance that most impresses, such as when overtaking or gathering pace down a motorway slip-road. It's here that the big turbo-diesel engine's massive amount of grunt just drags you inexorably towards the horizon, seemingly with little let up. This isn't just a one-trick pony, either. The SQ7 handles incredibly well too, cornering nice and flat and with an obviously huge amount of grip. The optional flat-bottomed sports steering wheel feels like a touch of overkill though. 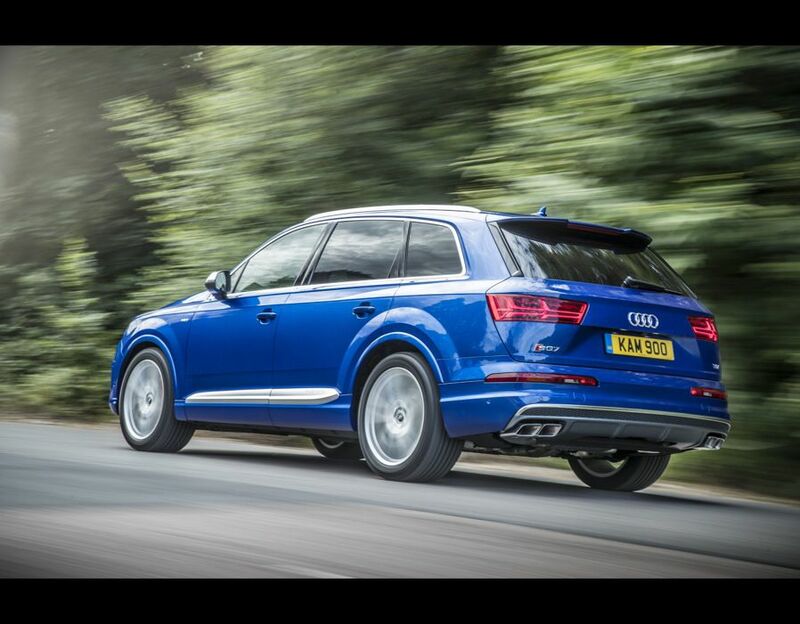 It's fine on a sporty Audi TT but not on a car the size of this Q7. You might expect the next sentence to be a criticism of the SQ7's ride quality with a bone-jarring, filling-shaking, experience. In reality, while the SQ7's ride is sportingly firm, it's by no means unbearable, something of a surprise given those aforementioned larger 21ins wheels. Immaculate build quality is an almost foregone conclusion from Audi these days and the interior is faultless. The carbon-fibre weave dashboard and interior might not be to everyone's taste but the infotainment is clear, and easy to use on the move, and there's plenty of space in both the front and rear seats. There still remain some odd omissions, though. The lack of a heated steering wheel and heated rear seats as standard is a bit strange, even at this level. 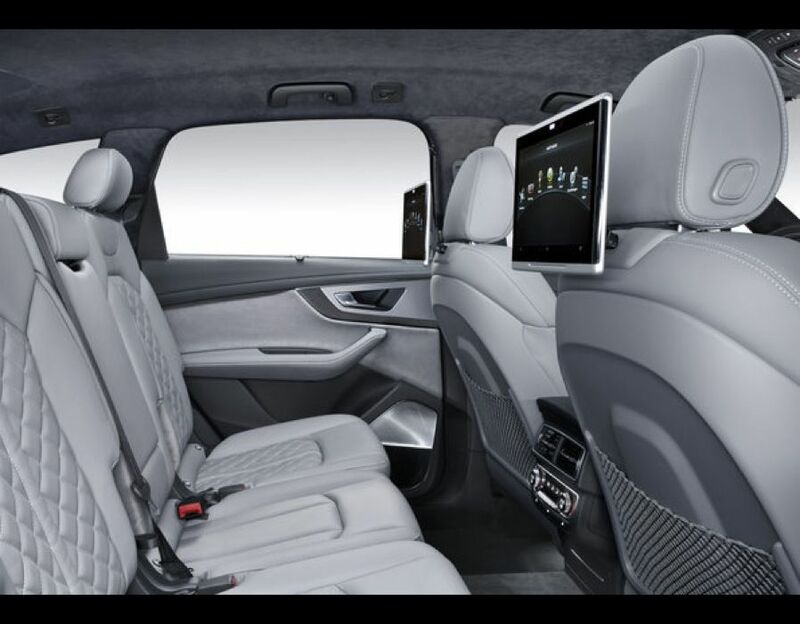 We're also not that keen on the string net pockets on the back of the front seats, which look a bit cheap to our eyes. On the practical front there's a decent-sized boot, although it's a bit shallower than you might imagine, and we love the electric switches to lower the back seats and also to hide or expose the tow bar. No matter what you might think of the SQ7 or other large sporting 4x4s like it, it's very hard not to step out of it mightily impressed for what it represents as an all-rounder. The world may not need the SQ7 but we're very happy that it exists all the same. Read more on Express Newspapers.